The prevalence of Autism Spectrum Disorder (ASD) has almost tripled since 2000, affecting one in 59 children identified in the U.S., according to the Centers for Disease Control and Prevention (CDC). “Everyone knows someone affected by autism. It’s time for us to take responsibility for the growing number of families in need of quality care,” said Leonard Abbeduto, director of the UC Davis Medical Investigation of Neurodevelopmental Disorders (MIND) Institute. Although ASD is a lifelong condition, effective treatments can reduce the disabilities associated with ASD and lead to happier, more fulfilling lives for families and individuals, but these treatments must be made more widely available. Currently, gaps in access to providers and affordable care make it especially hard for families who come from under-resourced populations or rural areas. Moreover, gaps in care delay early identification and intervention, affecting developmental outcomes. This Big Idea will harness the university’s unique strengths in health, neuroscience, engineering, education, community engagement, and social sciences, involving a variety of disciplines and perspectives to find innovative solutions for ASD. UC Davis’ Big Ideas are forward-thinking, interdisciplinary programs and projects that will build upon the strengths of the university to positively impact the world for generations to come. Researchers, scientists, clinicians and others are working on innovative and ambitious initiatives in the field of health, sustainability and more to solve both California’s and the world’s most pressing problems. The Autism, Community and Technology Big Idea will pioneer a first-of-its-kind lifespan approach for everyone living with autism. By building partnerships with communities, driving innovation in affordable and accessible technologies, and training doctors, nurses, teachers, employers, and family members, UC Davis will create new ways of advancing science and helping people with autism. Home to more than 50 faculty and staff across five UC Davis schools and colleges, the MIND Institute will be a hub for the Big Idea, bringing together experts from various disciplines, as well as community groups, businesses, and families, to address autism on a grand scale. This expert knowledge will then be used to train doctors, nurses, teachers, employers and community leaders throughout the country. Such partnerships will address the needs of underserved populations and the unique challenges they face, using innovative technologies and solutions to help individuals living with autism and their families across communities. One such partner is Sergio Aguilar-Gaxiola, director of the UC Davis Center for Reducing Health Disparities. For more than 10 years, he has worked on projects with the MIND Institute to improve access to and utilization of services for families affected by autism, fragile X syndrome and other developmental disabilities. “When there is an urgent need such as this, we need big ideas to make real progress in advancing solutions,” Aguilar-Gaxiola said. Aguilar-Gaxiola and his team serve Solano County and other areas in California and focus on Latino, Filipino, LGBTQ and other diverse families as well as those who are low income or for whom English is not their first language. Children in these populations tend to be diagnosed with autism later than urban or white families – leading to delayed treatment and worse outcomes over time. 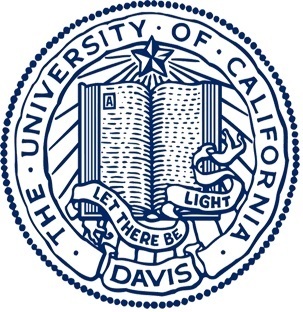 “Some families live two to three hours away from providers, with more than one child with autism at home, so it is critically important for UC Davis to reach them where they are,” Aguilar-Gaxiola said. Telehealth, which is remote access to health services and provider care, makes it possible for UC Davis to care for families affected by autism and other ASD conditions no matter where they live. The face-to-face interaction in their own home through video conferencing, and the use of other technology, allow parents to affordably receive direct feedback and input on how to improve interactions and build important skills in their child. The use of telemedicine more broadly and effectively can improve ASD screening and offer treatments in a variety of spoken languages and to families in all areas across California and the country. Many children with ASD have challenging behaviors or problems with the change of routine associated with travel. Technology allows these families to overcome this access barrier, bringing care into their own home. Abbeduto recalls several patient families who were empowered through telemedicine. During a three- to four-month video conference training series with team members at the MIND Institute, these families learned how to become their child’s language therapist and were empowered to contribute to their child’s care. They were given strategies to support their child’s language development and to reduce the kinds of behaviors that impede social interaction. As part of the Big Idea, the MIND Institute is also developing interventions for adolescents and adults, a subgroup of individuals living with ASD who often experience a sudden lack of services after high school. Technology will allow interventions from the MIND Institute to better address the needs of these individuals. Virtual reality, apps, artificial intelligence and facial recognition software will be further developed and tested to support positive behaviors in communication and social skills needed for daily life. “We can use advances in technology to continue to monitor and support individuals living with autism so they can have fulfilling jobs and take part in a wider range of social activities throughout their lifespan,” explains Abbeduto. Furthermore, virtual support groups could connect individuals with autism or their families to additional social skills workshops, helping them move to independence and easing some of the burden on caregivers. Smart homes, for example, could be used to provide prompts for when it’s time to take medication or a bath, and give cues for getting ready for work or making a meal. Autism experts partnering with engineers could also utilize robotics to realize new ways of providing therapies and medications. The vision of this Big Idea will extend the reach of this technology, employing it in communities where experts in autism or specialized services are limited or non-existent. Through virtual conferences or workshops, UC Davis will be able to train the next generation of providers, teachers and administrators. This will empower and promote positive change at the individual level and create opportunities at a systems level.